"Edwards Floral Design "Floral Artistry at its Finest". My name is Stacy Edwards and I opened Edwards Floral Design in 1992. 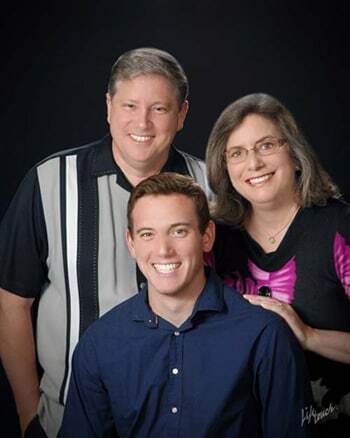 Since then, we have been committed to serving McKinney and the surrounding area with the finest quality fresh flowers with unsurpassed customer service. We use growers from all over the world that provide us with an array of the finest fresh flowers available. We receive seasonal blossoms on a daily basis, so we always have the freshest product available. All of our roses are of the best Ecuadorian quality with the longest stems and extra large head size. Our designers at Edwards Floral Design take pride in delighting our customers with unique floral gifts for special occasions and holidays. Whether it is a special birthday, anniversary or "just because", rely on our creative designers at Edwards to convey those feelings with a distinct and memorable design. We invite you to come and see our unique lines of gift items. Many of the items are featured in our gallery section on this site. We offer complimentary gift wrap for our gifts. Our wedding work is a labor of love. If you are planning a wedding, contact us for a complimentary bridal consultation. Our experienced wedding consultants will sit with the bride, groom and family to discuss the bride's ideas of how she expects the flowers to look on her special day. We then make suggestions on how to best complete that look. We do not offer "wedding packages" because we feel that your wedding day is one of the most special days in your life, and we want to customize your flowers per your specifications. We offer a wide variety of rental props to complete the setting at the ceremony and/or reception venues. Please call us today to place an order for a distinctive design and memorable gift. 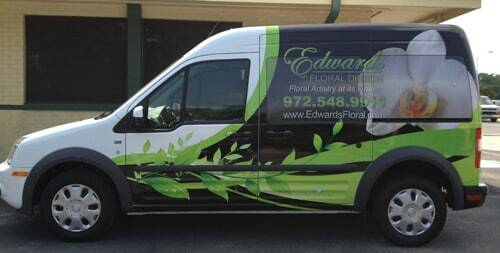 Let Edwards Floral Design be your first choice for sending flowers. Our commitment to you is 100% satisfaction on all your floral and gift purchases. If you are not completely satisfied, let us know by calling (972)548-9911. We offer complimentary wedding consultations to discuss your vision for your special day. We have many rental items for weddings too if you choose Edwards Floral Design to design your wedding flowers. Please call or email to set up your complimentary wedding consultation. If you have any questions or need more information, please call us directly at (972) 548-9911. We're always here to serve you and make your flower-sending experience a pleasure. 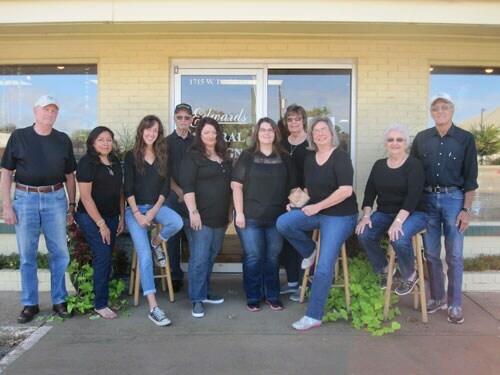 Our shop serves the following areas in Texas: McKinney, Allen, Plano, Richardson, Melissa, Anna, Van Alstyne, Princeton, Fairview, Farmersville, Frisco, Celina, Lucas, Weston, and Prosper. If your order is outside our delivery area, the order will be sent and filled by another florist in the recipients city. Please see our help page for additional information on facilities we deliver too! Minimum Order for Deliveries to McKinney - $35.00 plus $9.95 delivery. Minimum Order for Deliveries to Allen, Fairview, Lucas and Parker - $40.00 plus $10.95 delivery. Minimum Order for Deliveries to Melissa, Anna, Weston, Frisco, Prosper, Celina, Princeton and Plano - $50.00 plus $15.95 delivery. Minimum Order for Deliveries to Farmersville, Richardson and Van Alstyne - $50.00 plus $19.95 delivery. Minimum Order for Deliveries to Dallas - $50.00 plus $24.95 delivery. For delivery to CR and FM addresses, there is an additional $5 delivery charge. We offer same day delivery to McKinney if order is placed by 2:00pm Monday-Friday or before 10:00am on Saturdays. If it is after these times, you are welcome to call us 972-548-9911 to see if we are able to accommodate a late delivery for that day. If you open an account on our site or make a purchase, we need your contact information including your name, phone number, mailing address, and e-mail address to complete your transaction.